Canton Ohio is proof bigger isn’t always better. Nestled in the northeastern corner of Ohio, Canton is a bustling city with a small town feel. With a population of approximately 72,000 Canton has all the benefits of a larger city but still retains many of the things that makes a small town so special. Canton is home to many well-known national landmarks like the NFL Pro Football Hall of Fame, the William McKinley Presidential Library/National Monument, and the National First Ladies Library and Research Center. 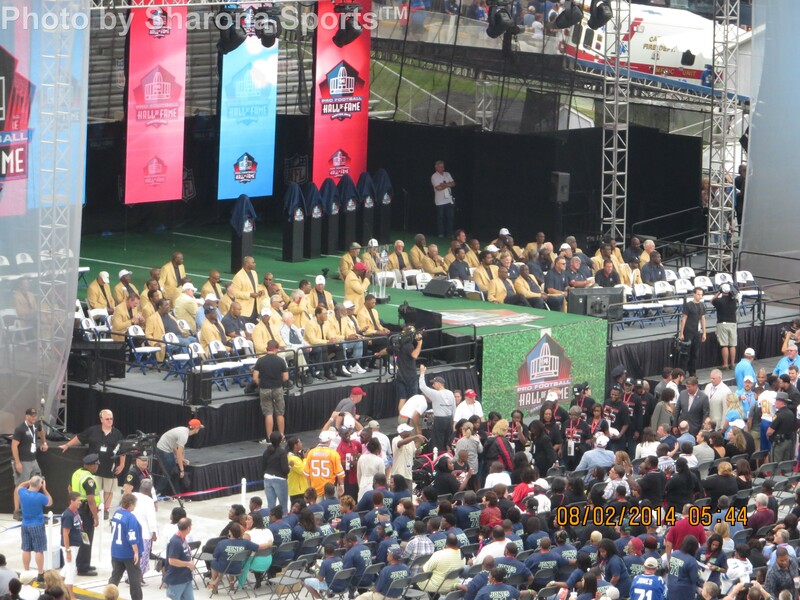 Since 1963, Canton has played host to the Pro Football Hall of Fame Enshrinement ceremonies including the Hall of Fame Game which ushers in the beginning of the football season. The game is played on Fawcett Stadium which is home to McKinley High School. The stadium has a seating capacity of 22,364 and also plays host to many high school and college games. 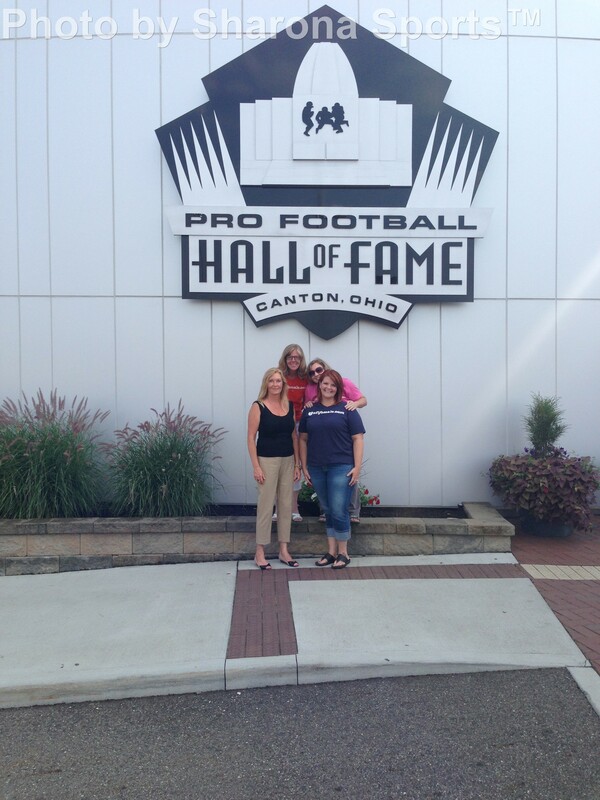 Canton is known as the birthplace of football and for good reason. On September 17, 1920 the American Professional Football Association was founded in Canton. It would later be renamed the National Football League. Canton has successfully navigated the stairwell of time and although the Hall and the Stadium have undergone upgrades and renovations it still retains the small town feel. This past weekend over 100 former inductees and members of the Hall of Fame fraternity descended once again on Canton to welcome the seven new members comprising the class of 2014. Many celebrities were in attendance. NFL Network broadcast from there along with many other media outlets. Large contingents of fans from New York and elsewhere came to support the Buffalo Bill and New York Giants along with the inductees. While some preparation goes year round, it takes about a week to prepare for the upcoming event. Canton does an incredibly great job of hosting the festivities and there was almost universal praise over the weekend for how well the event was organized. The Hall of Fame Game featured the Buffalo Bills and the New York Giants. Both teams at this point in the pre-season have roughly 90 players on their roster in addition to coaching staff and support personnel. This of course is in addition to the inductees, their families and friends, Hall of Fame members and other people wanting to experience and witness the ceremonies. Canton makes it all work and the event has been successful for a long time. However, it’s fair to wonder whether in today’s glitz and glam NFL it would be welcome at the negotiating table to be considered to host this amazing event. Today’s NFL seems to care only about the bright lights and big names these days. It seems lost or indifferent to the league’s past. It’s a shame really. Canton proves bigger isn’t always better. Tradition matters and the National Football League would be wise to take note and remember it.